A friend suggested Bodhi Linux, which is Ubuntu 12.04 based, with the enlightenment window manager.. Enlightenment is small, compact, and very fast. The installation of 2.1 Bodhi was quick and somewhat painless. 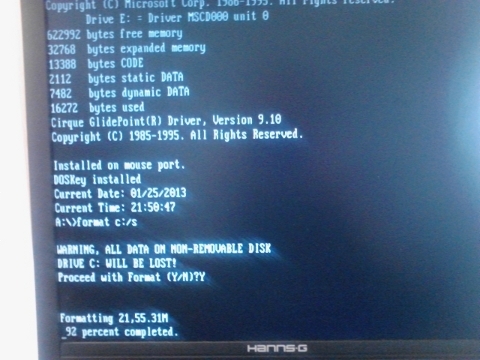 But I will admit the grub_divmod64_full grub boot error had me in a tailspin. I had to drop back to Windows 98 Floppy to fix the problem. (fdisk /mbr) After nuking the master boot record, I tried a second time, all was well. Creating a desktop icon, is NOT straightforward. For example, if you are used to using the gnome-terminal, it is called “Terminology” in Enlightenment. And the above code snippet (substituting Thunar.desktop or pcmanfm.desktop) works! When I tried to install boinc, things got ugly quick! Need to get 948 kB of archives. After this operation, 3,177 kB of additional disk space will be used. I tried to install boinc, as shown above. But it complained that the libc6-dev was actually a later version than it needed. I tried to “fix” the broken packages, but I got a 404 error. The needed file, was NOT found in the Bodhi 2.1 repository. FAIL. While I could probably get around this, by adding the correct Ubuntu repository, this is NOT something a n00b (novice/new) user would know how to fix. 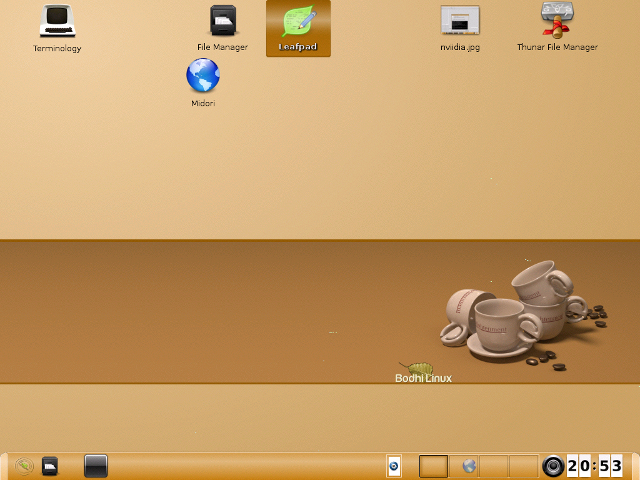 The combination of the repository failure, and the methodology of adding desktop icons, gives bodhi Linux a grade of: D-. Not ready for primetime. Another review, called it a square peg in a round hole. When I tried to install the nvidia-173 legacy mode drivers for my graphics card, it completely broke Bodhi, so much that it would not boot. Went into recovery mode, purged the nvidia driver, and then rebooted back into Bodhi. Kubuntu is starting to look pretty good. I installed the Ubuntu 12.04 beta. Very slow login. Over 2 minutes. There is no way to adjust mouse sensitivity. (even with mouse adjusted as low as it will go, it’s far too fast.) I tried the gnome-fallback (gnome-panel). Unity was way way too confusing. I will try KDE before totally abandoning Ubuntu, (a 584 meg download!) but I will be probably be installing Debian Squeeze. Thanks Ubuntu for many years of loyal service. But it is time for us to part ways. Like Ubuntu, but just not convinced that Unity is the next greatest thing since sliced bread? Logout, choose gnome at login time, and you are done. Usually when a new release of software comes out, I am game for giving it a fair trial. I downloaded the iso for 32 bit Natty (Ubuntu 11.04), put it on a flash drive and took it out for a test drive. Within 3 minutes, I had broken Unity, without trying. The livecd does NOT give you the choice of Gnome or Unity. You get Unity, like it or not! I said, well it could just be my hardware (an acer aspire netbook). So I begin to monitor things on irc (#ubuntu on freenode.net). The horrors I am seeing! Problems with Nvidia Graphics cards, breaking Unity, menus disappearing, screens going dark, and a boatload of grub issues. And the release has been out for just over a day now. This is absolutely the most seriously “quality challenged” issue of a major release I have ever seen. 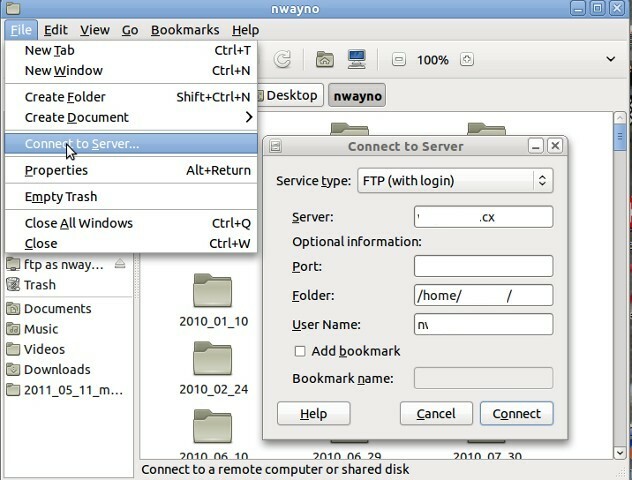 Here’s how to change from Unity to classic Gnome in Ubuntu 11.04, just in case you have already taken the plunge. Bottom line: If you haven’t installed Ubuntu 11.04 (natty), DON’T! You will be happy you didn’t! At this point, I’d recommend staying with what you have already installed, or at least going to back to Ubuntu 10.04, which is an LTS (long term support) release. Debian Squeeze (6.x) is an alternative, but it is NOT recommended for a n00b, or someone that doesn’t have a good year or so of using Linux behind them. As always, YMMV (your mileage may vary) applies.